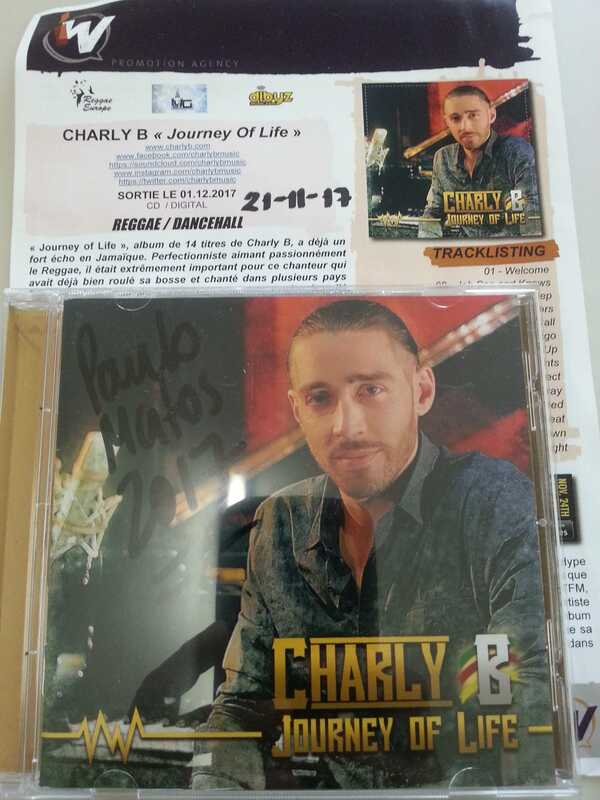 "Journey of Life", an album of 14 tracks by Charly B, already has a strong resonance in Jamaica. Perfectionist passionately loving the Reggae, it was extremely important for this singer who had already rolled his hump well and sung in several countries in Europe and the Caribbean, and for some years settled in Jamaica, to come and offer his European fans an album of high quality, with new songs that already thrilled the Jamaicans, ranked at the top of the list in the Jamaican charts, like Nah Give Up or Eyes Dem Red. Charly B moved to Jamaica because, apart from the fact that he loves this country and the Jamaicans, he felt the need to have the recognition of the founding people of Reggae, and to sing reggae in the very country of Reggae . His dream came true in the last two years, when he was able to reach the biggest Jamaican stages with his group the Tower Band with more than sixty shows, very cultural shows like the Kite Festival 2017 in Ocho Rios or the Rebel Salute 2016 at the invitation of Tony Rebel, alongside Ken Boothe, Beres Hammond, Mavado, Half Pint, Michael Rose and others, or the Moonsplash Festival in Anguila with Queen Africa, Tony Rebel, Ce'Cil, Ibamahr and Bankie Banx (Bob Dylan reggae), or Bob Marley Salute with the greatest, the 2016 School Tour I-Octane in Jamaican schools where he surprised the new generation, also invited by Tarrus Riley for Tarrus Riley and friends , and many more in the four corners of Jamaica. He has also been a regular guest on major TV shows such as Onstage TV, Intense TV, Hype TV, the largest TV programs in Jamaica, and large-scale radio interviews. To name a few: Irie FM (E-Buzz Program with Beenie Man), Fame FM, Hot92FM, Suncity Radio, Kool97FM, FM Stylz, Zip FM, Magajamz Radio and many others, a list too long for to be able to quote them all. Humble and unpretentious artist apart from that of wanting to make and offer an authentic reggae, Charly B releases an album very different from what you already know about him. He put all his "vibes", all his heart and all his sincerity into it by mixing his experience and his soul, his energy and his creativity. The team that accompanies it in this new adventure, TMMG, is a group of Jamaicans both producers and musicians. Throughout the compositions, you will travel in reggae, from hard-core to lovers song, with passing some ska rhythms. His 14 tracks will transport you to a sunny, rhythmic, sometimes more serious world, with conscious and serious words, inspired by life. No running away and Live it right show all the reflection made on life, with sought-after lyrics and a powerful rhythm. And Nah give up and Step by Step make all his determination to never give up because, he says, music is the best medicine, especially from a spiritual point of view. The year 2016 was a very difficult year for the artist personally, he lost three very dear ones in the space of 3 months, his father, his grandmother and his son, and all this sensibility that he had to express himself in his music. He says that music allows him to move forward and grow after every difficult experience of his life, but he remains determined more than ever, and that too is felt. His experiences have made him stronger, and it is with this new energy and deep sensitivity that he presents us with "Journey of Life". 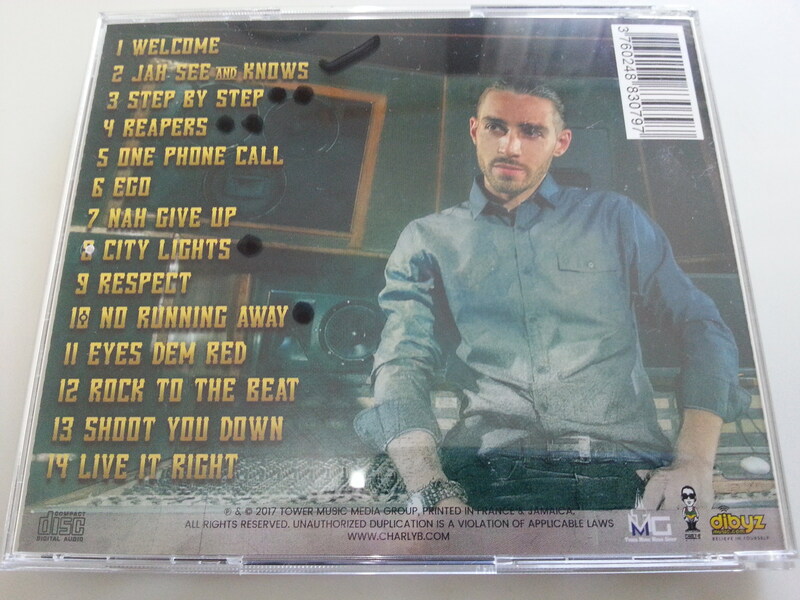 Three other songs from the album, Jah see and he knows, Reapers and City lights were inspired by his experience with his former producer, who wanted to change his style. But Charly B does not work like that. It works with the emotional, the inspirations, the vibes. That made him lose a little time, but he gained a lot of experience, and he came out stronger. Sometimes you have to know how to go back to better jump, proof that with patience and the strength of the mind you can turn an evil into good, and even very good! Three lighter and festive titles in this album, Welcome and Rock to the beat, specially written for the good vibe with the public, as well as Eyes Dem Red, very beautiful song on the weed, which will please connoisseurs. He wrote One phone call for his family and friends, because living thousands of miles from his family, this song has become obvious to him. There is still a lot to say about the rights of women around the world, and the respect due to them is not always there, it is the theme that inspired Respect. As for Shoot you down she was inspired by real street facts, gun violence. Finally, one of the most beautiful songs of this album, Ego, is dedicated to all those who have the courage to do a retrospective and recognize their love mistakes. There is no participation / featuring on this album. 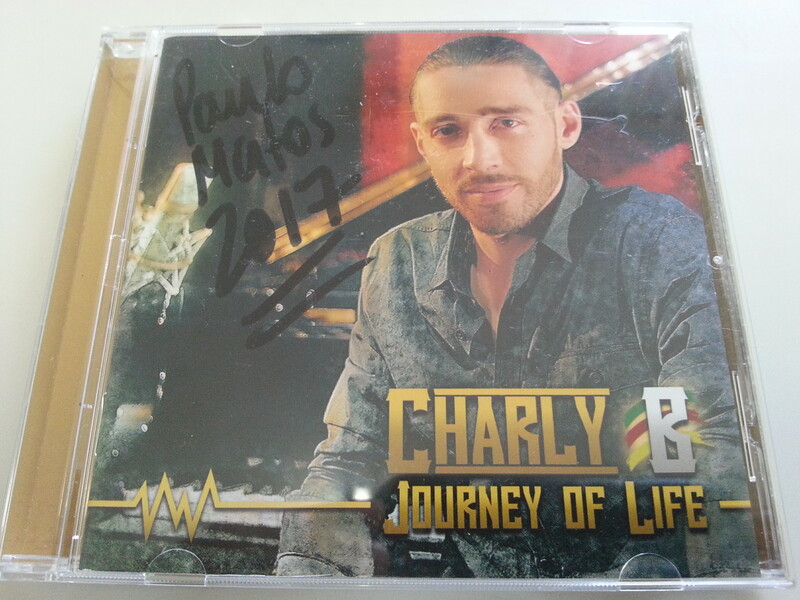 Having the participation of a great artist next to you can actually enhance the image of an artist to the public, but Charly B has decided for this album to be as it is naturally, without any artifice. So let yourself be enchanted by JOURNEY OF LIFE, listen without moderation, both for energy and flow, for melodies, a treat, a reggae of quality.